The exhibition is curated by Maria Zytaruk, a U of T alumna and an associate professor of English at the University of Calgary. Her work centres on the history of collecting and the history of museums, particularly with regards to plant specimens and their preservation. One-shilling guides (pictured above) about everything from ferns to microscopes made nature accessible. They allowed people to bring the wilderness into their homes – even if it was just a modest plant in a soapbox on a windowsill. Treasures of the Deep by David Landsborough (pictured above, top centre), includes what may appear at first glance to be an illustration of bright pink seaweed. In fact, it fooled Zytaruk when she first saw it. 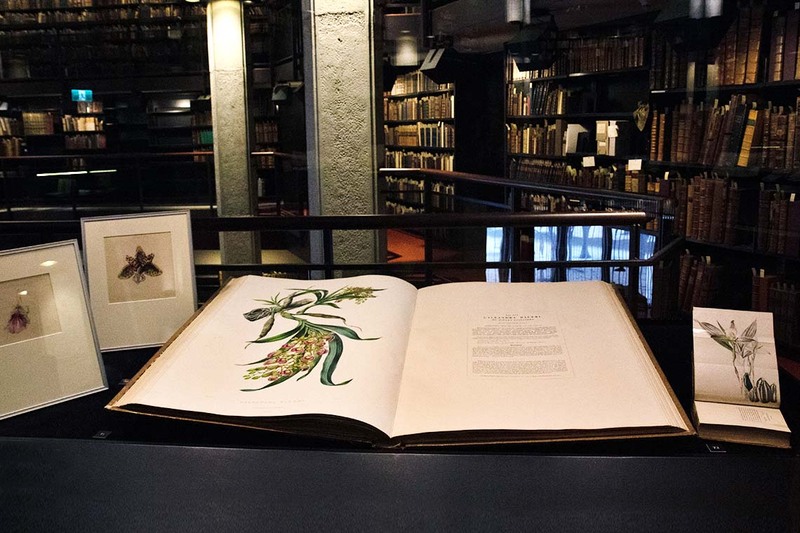 Nature on the Page will be on display until April. Free curator-led tours will take place on Feb. 1, 21 and March 14.